TREKKING GUIDE: We require a Guide for our trekking centre in CONNEMARA in the West Of Ireland for the season of 2019 where we take our visitors out trekking along the Wild Atlantic Way. Some of the visitors have never sat on a horse before and go trekking as a "holiday thing" so the ability to communicate, put a person at ease and chat and have fun is a must. We live in a beautiful part of the world right beside the sea. 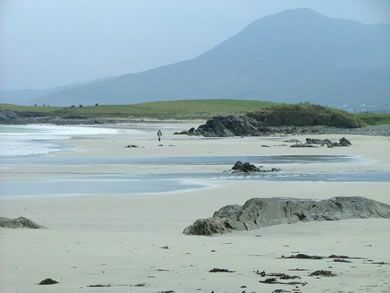 Beaches, Mountains, Close to Connemara National Park and Kylemore Abbey. All usual stable duties, mucking out / cleaning / feeding / grooming / tacking up / leading to and from fields and caring for. 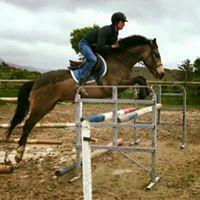 We have Performance Ponies and Stallions also, so you must be competent to handle young and excitable animals. 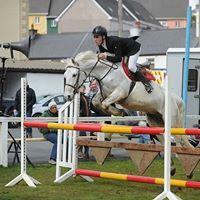 COMPETITION RIDER: Training and bringing on Connemara Performance Ponies for Competition. There will be many Working Hunter Show competitions which involve Showing, Dressage and Showjumping all combined in one class. A sufficient knowledge of horsemanship in flatwork and the ability to jump a 1.10m course is essential for this. Lots of horseriding. You must be over 23 years for Insurance Purposes and must be ready and legal to work in Ireland. Ability to speak and understand English is essential. Suitable applicant should be cheerful, tidy and well organised, flexible , hardworking, reliable person with a sense of humour . Confident, capable, enthusiastic and able to work off their own initiative. No time wasters please. Please only apply if you are available to start from March / April to end of September 2019. (Time can also be extended) Unfortunately we cannot accept Applicants own pets or horses. Must be an experienced Rider and over 23 years. Must be a non smoker. No pets allowed. No time wasters . Season 2019 Must be able to speak and understand English. A great place to save money as its a very quite laid back lifestyle area. If you want a busy city lifestyle this is not the place for you . 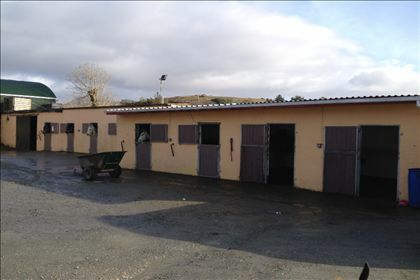 Accomodation on site within walking distance to yard. Mod cons. I loved working at Diamonds!! Loads of fun with the girls, lovely trekking horses and the cheeky ponies! I'll definitely go back to beautiful Connemara. We were very well cared for and felt part of this hard working family! I worked on the Trekking side of the business for the summer, and had a fantastic time! 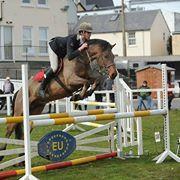 Lovely horses and amazing people, would love to go back. Highly recommended! I loved to work here! its very interesting job with many different ponies. All people are very nice and polite. Liam and Breege are hardworkers with heart on the right side. Always get paid on time. I have really good time in Diamonds equine centre❤️Will miss it there a lot! I worked as a trail guide here. It was a great experience and I enjoyed it very much. You get to ride on the beach every day! Everyone is very patient and they explain everything to you so there cannot be any confusion. And they're very nice people, ready to help you with whatever you need. Safety is a priority (yours as well as the tourists'), but the trekking ponies are all very nice and quiet. I even got to ride some of the connemaras a little bit. And the place is simply one of the most beautiful parts of Ireland. 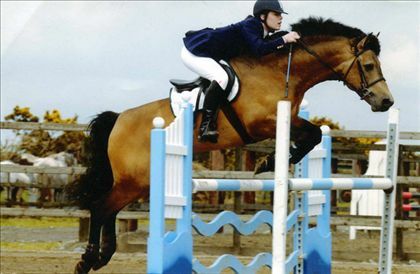 We are looking for a very experienced capable and confident rider who is able to train Connemara Performance Ponies for competitions, jumping a course of fences of at least 1m plus . Must be available to start March 2019 No time wasters please . No Pets or Horses allowed. You must be a good worker, non smoker and be able to work on own initiative and to have an outgoing and bubbly personality. 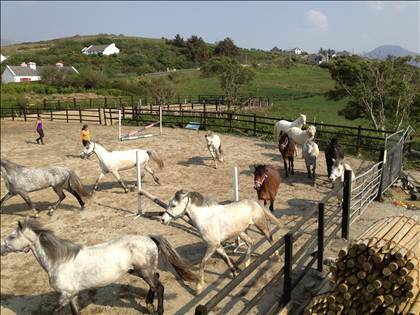 Yard responsibilities include Feeding, Grooming, Mucking out, Exercising and care. This is a lovely part of Connemara, right beside the sea and near the National Park. Applicant preferably over 23 years to apply for this job, (For insurance purposes) . Reference required. Please send a recent video of you jumping a course of fences of a minimum 1m and apply with a contact phone number so I can give you a call.